Rescue Remedy is a type of Bach Flower Remedy, a brand of flower essences created by English physician Edward Bach. Flower essences are made by placing flowers in water and leaving them to infuse in the sun, or boiling them in water. The flowers are then discarded and the liquid is preserved with brandy, diluted, and then sold in vials. 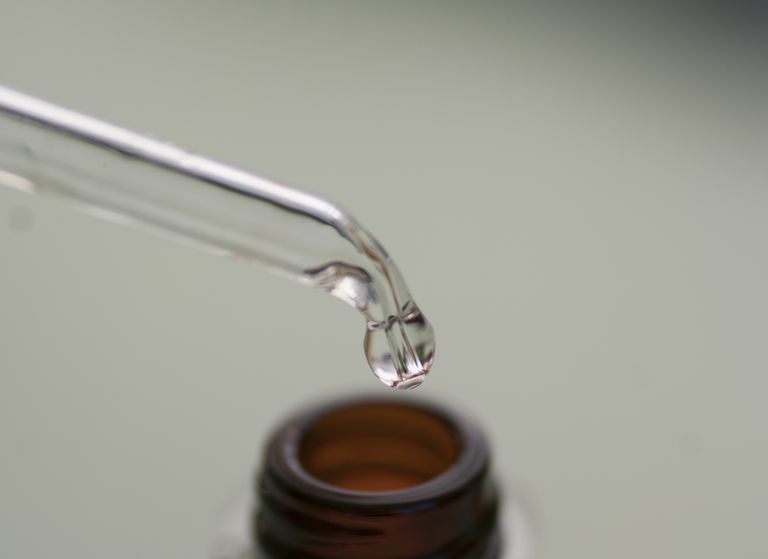 While each vial typically contains the essence of only one type of flower, Rescue Remedy contains a combination of five different flower essences: rock rose, impatiens, clematis, star of Bethlehem, and cherry plum. According to proponents, flower essences can help relieve stress, which has a negative impact on the immune system. Some types of flower essences are also said to promote healthy sleep, lessen anxiety, and soothe the pain. Rescue Remedy, in particular, is said to provide calm and protect against anxiety during times of extreme stress. Despite claims for Rescue Remedy®'s stress-easing effects, very few scientific studies have looked at the product's ability to reduce stress or provide any other health benefit. What's more, findings from the few available studies indicate that Rescue Remedy may be no more effective than placebo when it comes to relieving stress. In a 2007 study, for instance, researchers randomized 111 nursing students to Rescue Remedy® or placebo after leading them to believe that they had to take a surprise test. Study results showed that Rescue Remedy® did not significantly differ from the placebo treatment in terms of its anxiety-reducing effects. In another clinical trial, published in 1999, researchers randomized 100 students to at least one week of treatment with Rescue Remedy or a placebo. Once again, the study did not detect any difference in efficacy between Rescue Remedy® and placebo in the treatment of test-related anxiety. Although Rescue Remedy is generally considered safe, people taking certain medications (such as metronidazole or disulfiram) may experience nausea and/or vomiting because of the alcohol-based form of any flower essence. Available in most health food stores, flower essences are typically sold as liquid preparations that are placed directly on the tongue or added to drinking water. Rescue Remedy is also available in spray form, as well as in creams, gels, and balms that can be applied to the skin. Due to a lack of supporting research, it's too soon to recommend Rescue Remedy as a treatment for any condition. If you're considering using it, talk to your doctor before starting your supplement regimen. Keep in mind that Rescue Remedy should not be used as a substitute for standard care in the treatment of a chronic health condition. American Cancer Society. "Flower Remedies". November 2008. Armstrong NC, Ernst E. "A randomised, double-blind, placebo-controlled trial of Bach Flower Remedy." Perfusion. 1999;11:440–446. Halberstein R, DeSantis L, Sirkin A, Padron-Fajardo V, Ojeda-Vaz M. "Healing With Bach(R) Flower Essences: Testing a Complementary Therapy." COMPLEMENT HEALTH PRACT REV. 2007;12:3. Thaler K, Kaminski A, Chapman A, Langley T, Gartlehner G. "Bach Flower Remedies for psychological problems and pain: a systematic review." BMC Complement Altern Med. 2009 26;9:16.